So last night I tried a new restaurant in town – A Thai Cafe – and was impressed with the spice and flavor. Usually I have to ask for things extra spicy, but splitting meals with a friend led is to order medium-hot… And it was SPICY! So good! We ordered a yellow curry noodle with veggies and then a chicken stir fry with brown rice. I added some chicken broth to the curried noodles and enjoyed them for lunch. 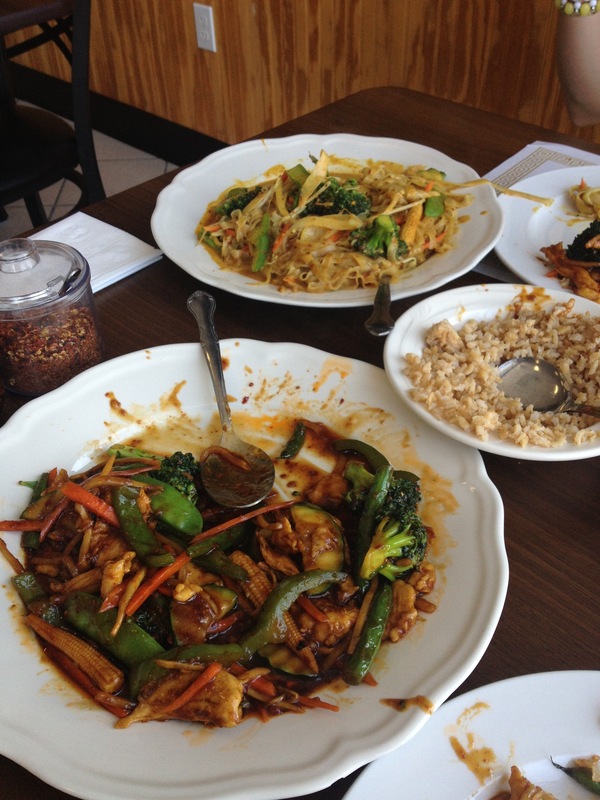 I really hope we start to get more ethnic cuisine in Kalamazoo – southeast Asian is my favorite – what is yours?? I LOVE Thai food, but you’re right – it can be spicy! And I’m always amazed at how much of it you get for what you pay. We have a Thai store owned by a lady that still only speaks Thai, and for $7 there’s enough food to feed three adults. My mom and I split it and we both get leftovers. You can’t beat that, and try as I might, I can’t duplicate how good her cooking is, so I’ll be helping keep her in business for sure!